Everything's under $30 (but no one will be able to tell). 1. A pair of faux-emerald drop earrings that'll have others green with envy at your next holiday party. Get them from Forever 21 for $4.90. 2. A lucite open cuff perfect for anyone looking for a chic alternative to metallic accessories. Get it from Free People for $28. 3. A silver clover necklace with all the aesthetics of a Tiffany's piece but without the hefty price tag. Get it from Century 21 for $23.30. 4. 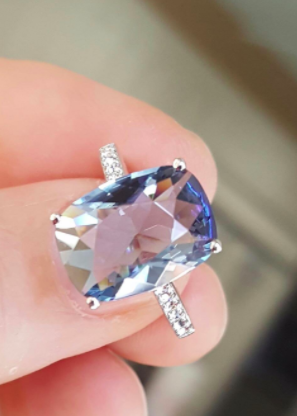 A stunning sapphire-like cocktail ring to cure you of your winter blues — you'll want to go out just for the sake of showing it off. Get it from Express for $16.14 (available in three sizes). 5. A pair of sleek earrings so your ears can look like they're crying silver tears of joy. 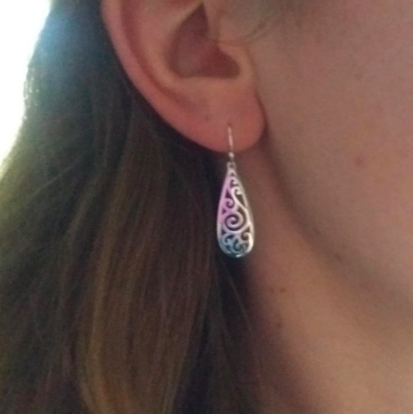 These earrings are made of silver-plated brass. 6. A gold labradorite cuff that looks like it belongs in a carefully curated high-end boutique. Get it from World Market for $19.99. 7. A white gold-plated sterling silver feather ring to wrap around your finger in the most beautiful way. Get it from Loft for $24.99. 9. An elegant pair of drop earrings to go ~pearl-fectly~ with your favorite party dress. These earrings are plated in 18k gold and feature natural shell pearls! Get them from Bluefly for $24. 10. A silver bangle adorned with Swarovski crystals for just the right amount of sparkle to wear every day. This bangle bracelet measures seven inches and is hypoallergenic, lead free, and nickel free. 11. A rhinestone lariat necklace much more versatile than you'd think. It'll look amazing with anything from a LBD to a slouchy sweater. Get it from Urban Outfitters for $24. 12. A sterling silver ring featuring a gorgeous center stone and Swarovski accent crystals so you can channel your inner Elizabeth Taylor. I highly suggest that you Google Liz Taylor's legendary jewelry collection and then we can weep together over how gorgeous everything is. Get it from Amazon for $21 (available in two sizes and colors). 13. A timeless station necklace you'll probably find a pricier version of at a posh department store. 14. A rhinestone circle ring with enough bling to temporarily blind whoever happens to be looking at your hand. Get it from & Other Stories for $29 (available in three sizes). 15. A pair of silhouette earrings that look like they belong in the Museum of Modern Art gift shop. Get them from Mango for $19.99. 16. 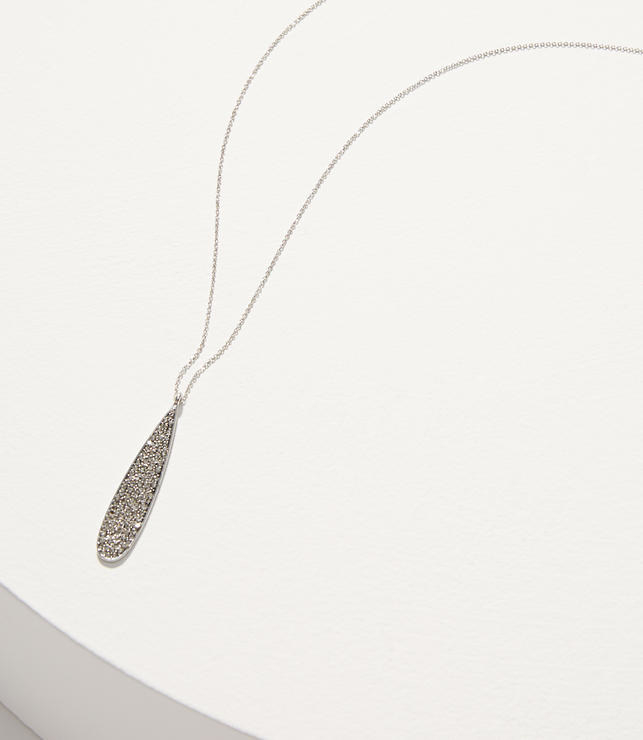 A pretty pavé teardrop pendant, because winter is here and you need long necklaces that'll actually show when you wear crew neck sweaters. Get it from Loft for $29.50. 17. 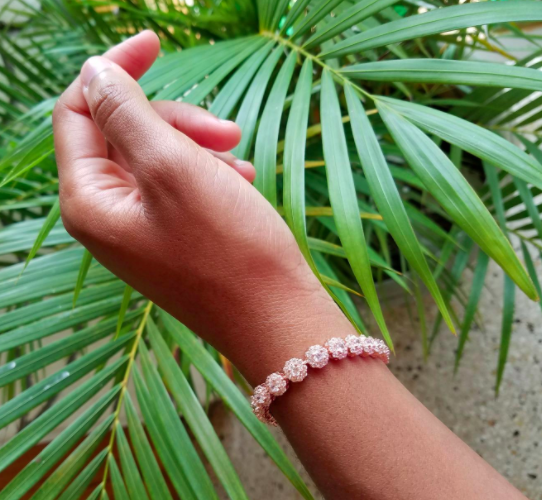 A chic double crisscross cuff in a rose gold finish so you'll have an excuse to constantly roll up your sleeves. Get it from Express for $11.94. 18. 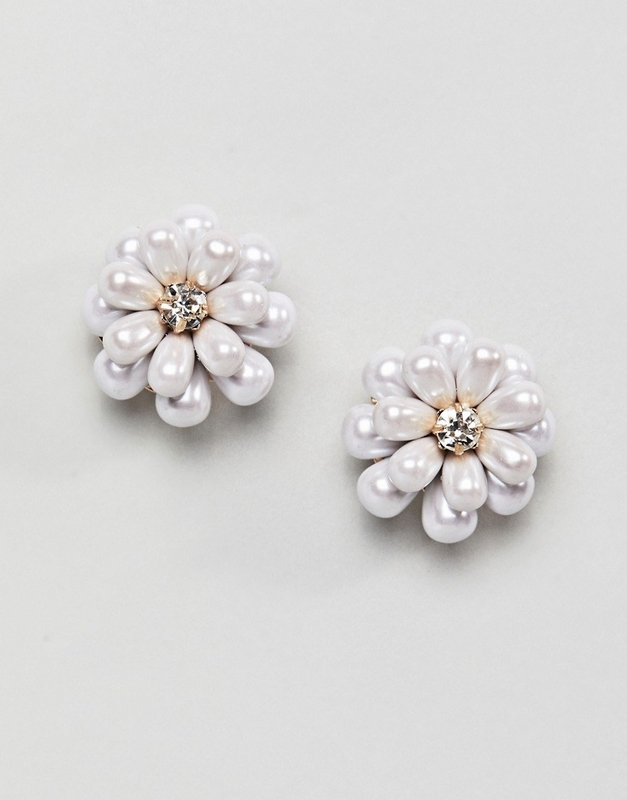 A pair of cluster studs that look like they were plucked from a magical dimension where pearl flowers grow on trees. Get them from Asos for $13. Get it from Amazon for $22.87. 20. 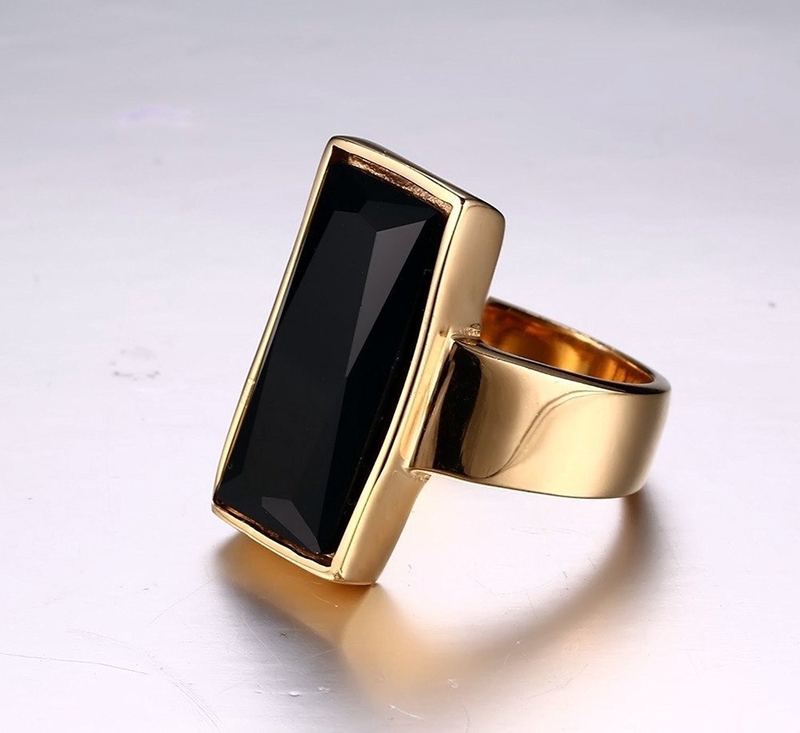 A gold-plated statement ring for people who love the dark and luxurious look of onyx but don't want to break the bank. Get it from Amazon for $12.39 (available in three sizes). 21. A pair of Swarovski-embellished gold hoop earrings you could say cost three figures, and people would believe you. Get them from Bluefly for $25. 22. A vintage-inspired faux-opal ring that's basically a tiara for your finger. Get it from Asos for $13 (available in three sizes). 23. 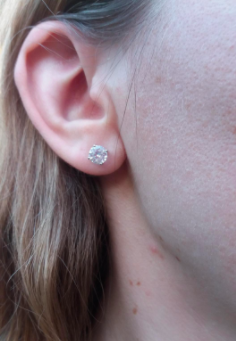 A pair of sterling silver crystal earrings more sparkly than Cinderella's slippers. 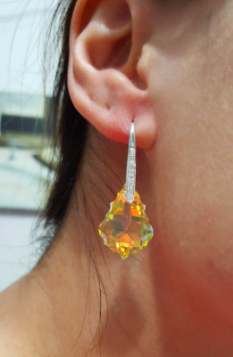 These earrings feature Swarovski crystals! Get them from Amazon for $24.99 (available in 11 colors). 24. A delicate rhinestone circle pendant necklace to wear with with your fave V-neck tops. 25. 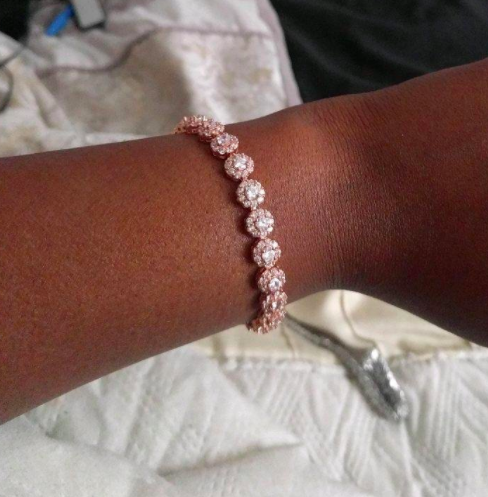 A rose gold-plated tennis bracelet people might mistake for a family heirloom. Get it from Amazon for $17.99 (available in two sizes). 26. A pair of silver leaf earrings worthy of a queen — Elsa, the ice queen to be specific. Get them from Lucky Brand for $9.99. 27. 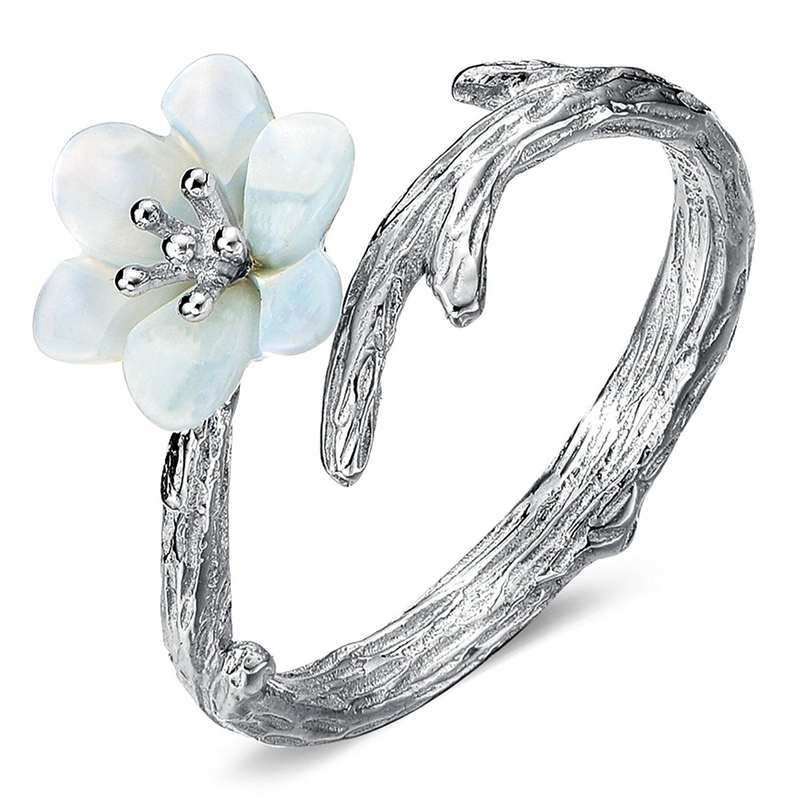 A sterling silver twig ring with a faux mother-of-pearl cherry blossom to bring a smile to your face. Spring might be far away, but some flowers do bloom in the winter. This ring is adjustable to fit sizes 4-7.5! Promising review: "I have slender fingers, and I always have trouble finding a perfect size ring that will fit my ring finger (size 4.5). Because this ring is adjustable, I managed to make it fit my ring finger without damaging its circumference or breaking it. I love the appearance of the branch hugging my finger. It keeps itself from moving or turning. 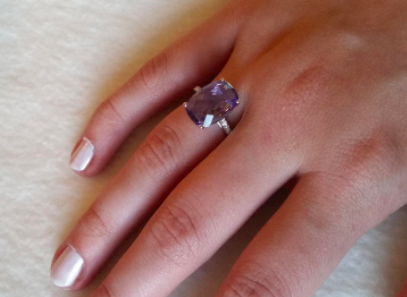 I just started wearing it today, and I already got compliments about it from strangers who will approach me and reach out for my hand to say how beautiful my ring is." —Rose L.
28. A classic gold cuff with a mysterious price tag. Is it real gold? Is it vintage? Only your wallet will know. Get it from ModCloth for $17.99. 29. 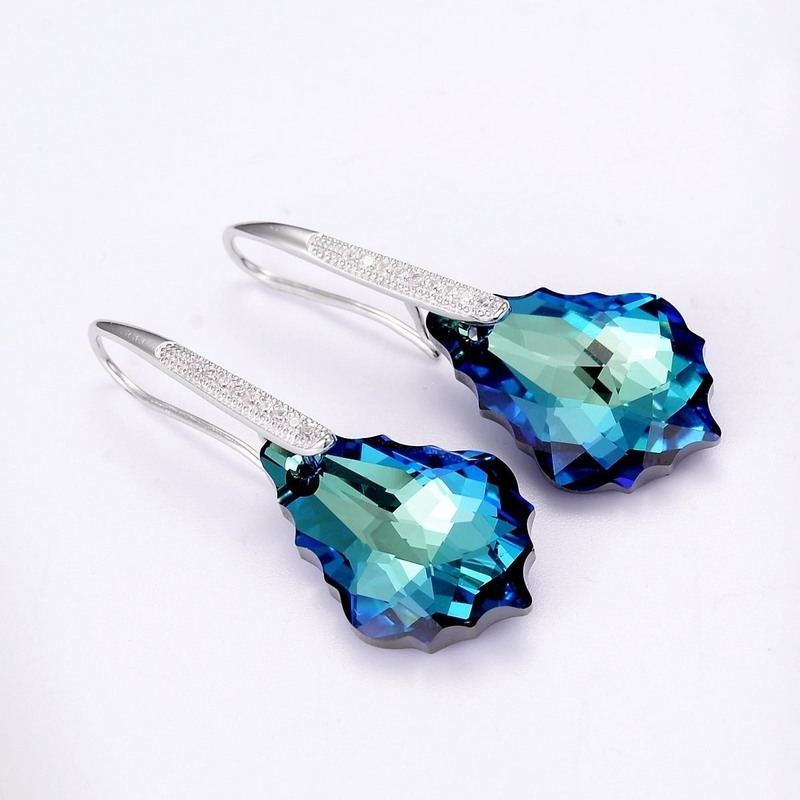 A pair of simple yet dazzling crystal drop earrings that'll somehow make everything you wear look more expensive. Get them from Club Monaco for $15. 30. A fish-scale bib necklace to help you acheive that golden mermaid look. Get it from Old Navy for $17.99. 31. A pair of whimsical gold-plated sterling silver rings for someone who doesn't take accessorizing too seriously. Get them from Asos for $24 (available in three sizes). 32. 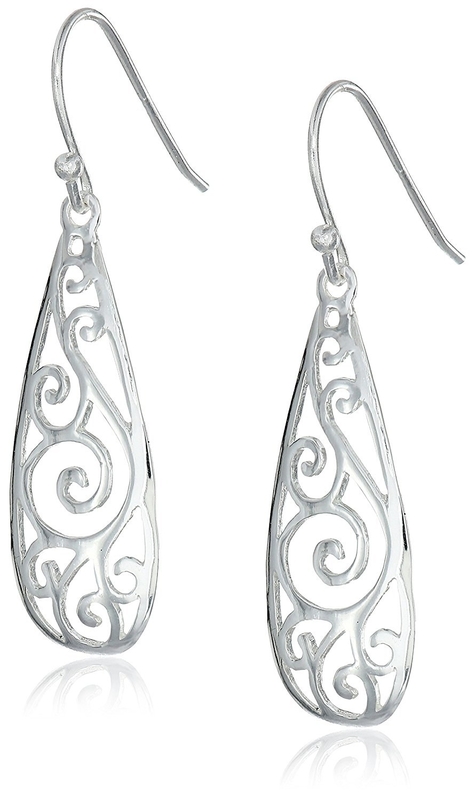 A pair of Art Deco-style silver filigree earrings that'll make you want to put on a flapper dress ASAP. Or... just a T-shirt and jeans would look great, too. Get them from Amazon for $7.56. 33. A mixed stones necklace to add a pop of color to any neutral outfit. It's super festive and never goes out of style! 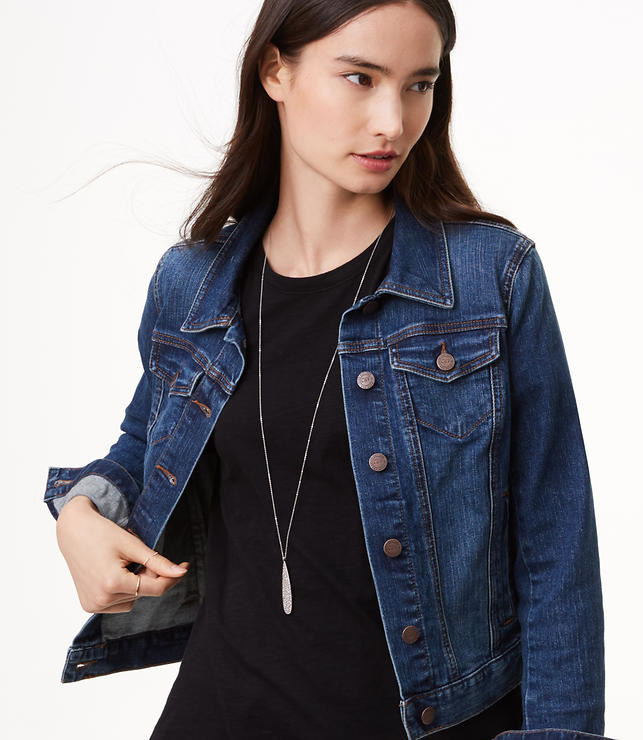 Get it from J.Crew Factory for $29.50. 34. 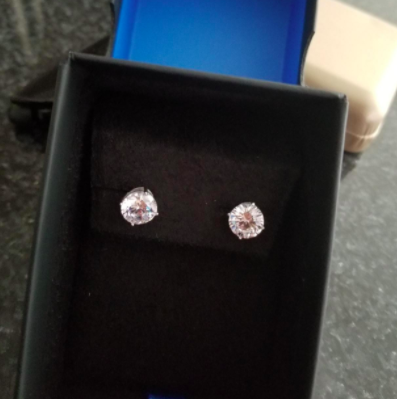 A pair of cubic zirconia studs every bit as brilliant as the real thing! You'll look like a million bucks even if your bank account says otherwise. Get them from Amazon for $10 (available in three colors). 35. 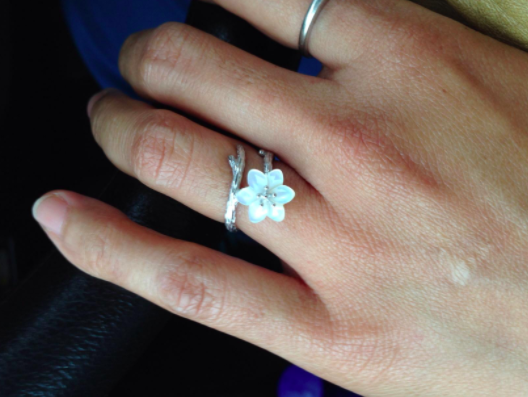 A minimalistic sterling silver ring so pretty, you won't ever want to take it off. It'll be your signature piece! Get it from Amazon for $20 (available in sizes 5-11). You're gonna look classy AF!